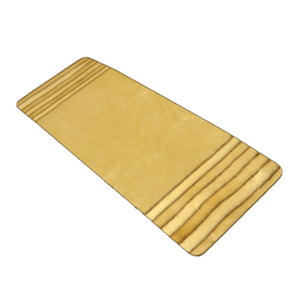 These transfer boards are made from top quality birch plywood. They are used to transfer patients between wheelchair and car, bed or easy chair, without the need to lift, hence reducing the risks of strains etc to carers. The ends of the boards are tapered to allow them to slide under the patient and the top is lacquered to facilitate easy movement. These transfer boards are made from top quality birch plywood. They are used to transfer patients between wheelchair and car, bed or easy chair, without the need to lift, hence reducing the risks of strains etc to carers. The ends of the boards are tapered to allow them to slide under the patient and the top is lacquered to facilitate easy movement.